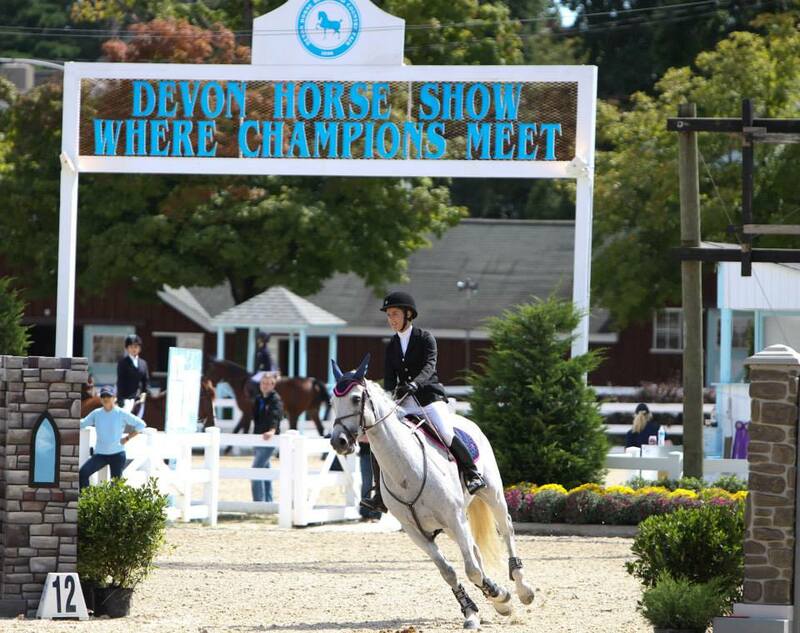 Are you watching the Devon Horse Show? For many years I made the annual pilgrimage to Devon, Pennsylvania to watch the Devon Horse Show. I went to college nearby and later lived in the area. I spent many evenings there watching the classes under the lights and while I never competed there, I went to cheer on friends who did. I now live too far away to make a live visit feasible, but luckily I can live stream the main Dixon oval right into my living room as the classes are being broadcast for free on www.usefnetwork.com. Okay, I can’t watch the warm up ring (which can be very entertaining) or visit the vendors, but it’s pretty cool to tune in and watch from the comfort of my sofa. This year the show started on May 22nd and finishes this year on June 1st. There’s a little of everything to watch — hunters and jumpers of course, but also driving, sidesaddle, three and five gaited classes . . . Just don’t miss the $100,000 Grand Prix on Thursday night at 8:00 p.m. EST. It’s always a nail biter! I think that walking the courses right now is the driving class.